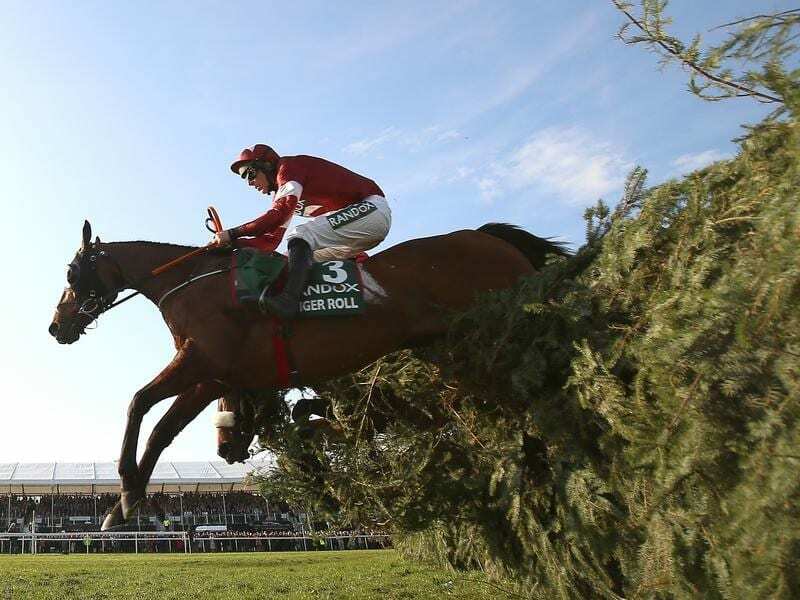 Tiger Roll has won the world’s most famous steeplechase, the Grand National, for a second time. There could soon be a new statue on display at Michael O’Leary’s home after Tiger Roll became the first horse since Red Rum to win back-to-back runnings of the Grand National Steeplechase at Aintree. With his two Cheltenham Gold Cup winners War Of Attrition and Don Cossack having sculptures built in their honour, Ryanair boss O’Leary, who owns Tiger Roll under his Gigginstown House Stud banner, may need room to immortalise the nine-year-old following his heroics on Saturday (Sunday AEST). A bad stumble at the fourth-last fence failed to stop the momentum of the 4-1 favourite, who passed the post 2-3/4 lengths clear of Magic Of Light to emulate Red Rum’s back-to-back wins in 1973 and 1974. “When Silver Birch won (in 2007) I probably didn’t appreciate it enough,” Elliott said. “Tiger Roll last year was unbelievable. Tiger is just a bit special, but the stats were against him. “Hopefully he will get the recognition he deserves and will go down as one of the greats. “Michael has got two statues in his house of War Of Attrition and Don Cossack, and hopefully he will get one. Celebrating big-race glory is common practice for both Elliott and O’Leary, but for the latter it was a victory he will not be forgetting any time soon. “This is one of the greatest days of my life.,” O’Leary said. “Frankly I felt no pressure at all, as I didn’t give him any chance having gone up in the weights. I was much more worried today that he would just come back safely. “I think he stumbled twice there and that kind of woke him up, but there was never a moment’s worry. O’Leary said Tiger Roll was unlikely to try to win the race for a third time. “This horse and this place is amazing. People go on about certain sporting events, but Liverpool and Aintree are so far ahead,” he said.